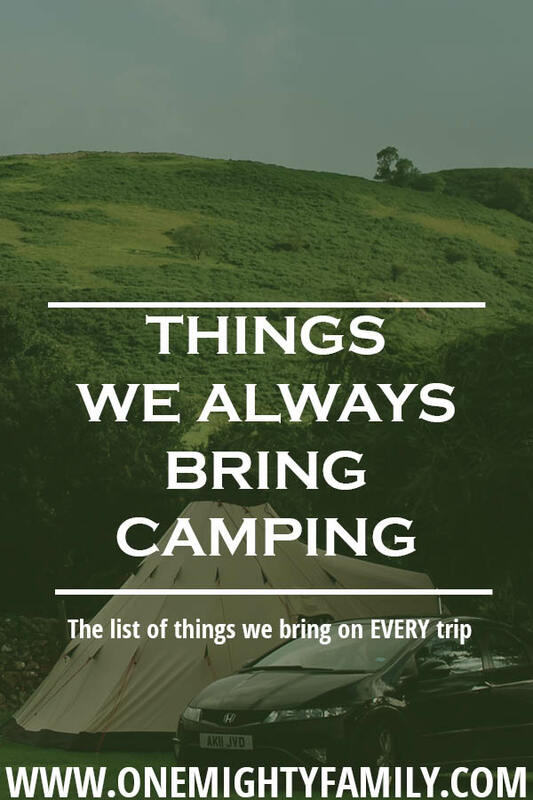 Having a list of 1o things we always bring camping makes it so much easier to get out the door, and actually go on a trip. Let me explain. Everytime we need to get out the door and go ANYWHERE it takes us two hours to get ready. This includes everything for everyone. Showers, getting dressed eating breakfast – everything. If you then add to that, that we need to reinvent the wheel and think up a list of things we need to bring, two things can happen. Either we don’t go, this was the most likely option for years, or we forget something. 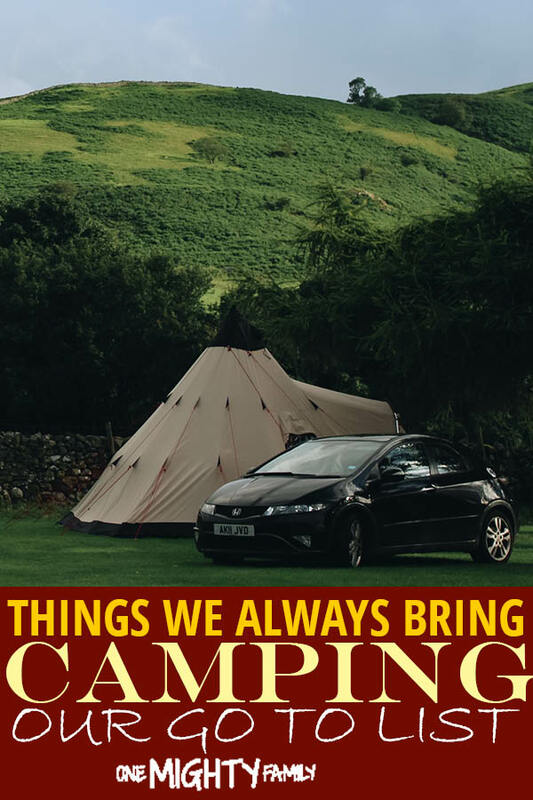 After we made our permanant list of things we always bring camping, we are so much more likely to actually get going. We find it easier to get out the door and away once we have established what it is we really need when we go camping. 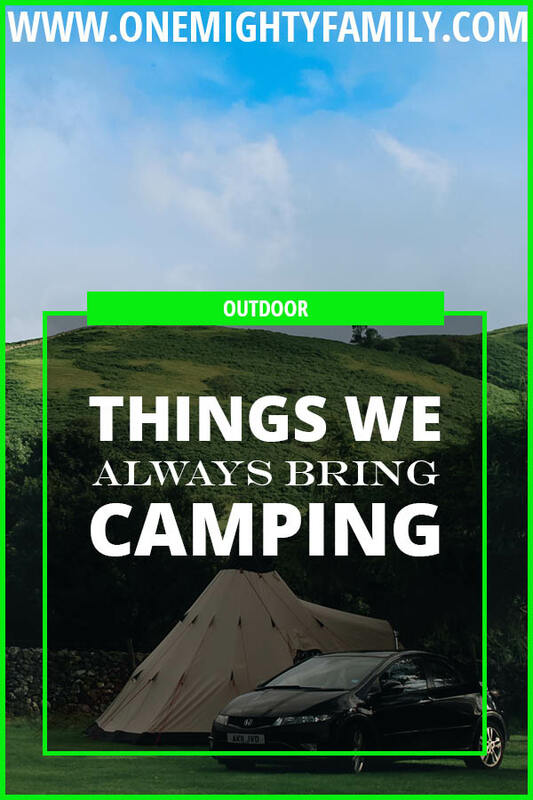 While your list might be a little different, these are some of the things that are good to think about when you go camping. 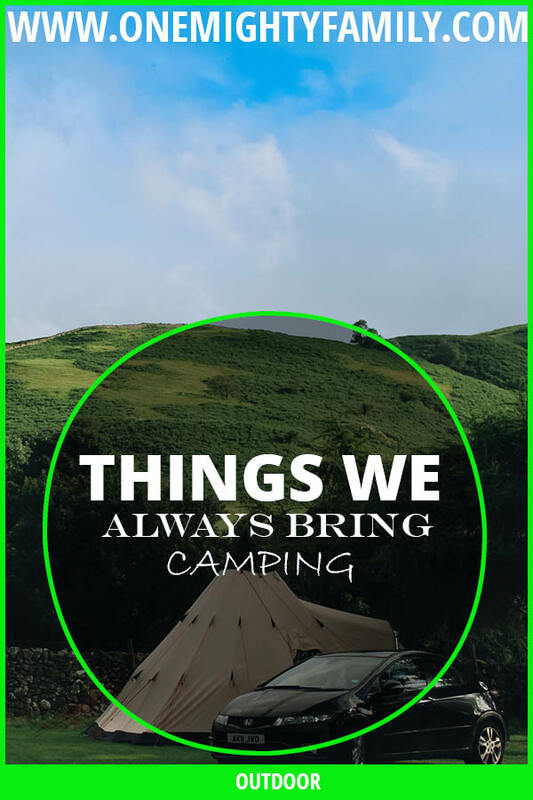 These are some of the things that we always bring camping You can also check out this list to see some of the not so common things that we like to bring if we have the extra space. You can read all about those things here. Getting a tent that fits our family is one of the best investments we have done. We camped in this Coleman tent for many years, with to seperate bedrooms and lots of room to play. It was brilliant when we needed lots of space inside the tent for play (we went on a 3 week scouttrip with endless rain). 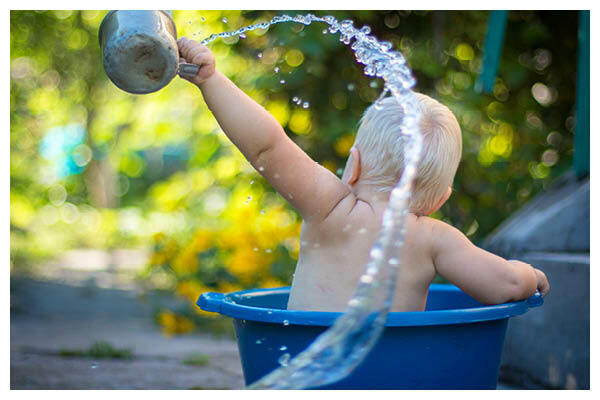 With a toddler in the rain, you need some space where there is no mud! 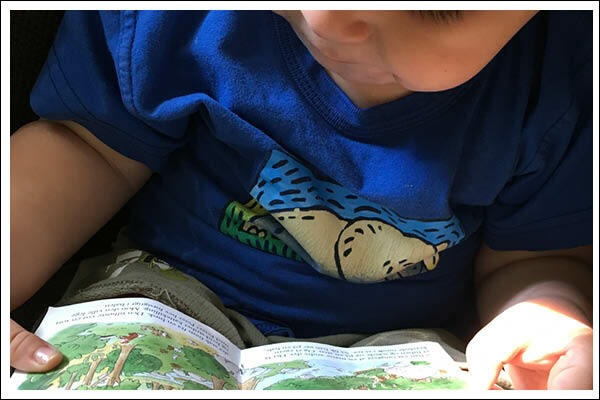 While we loved that tent, it was very heavy, so recently bought a new tent – you can read all about that here – and we really love our family tipi. That is one of the best investments we have done into our camping trips. 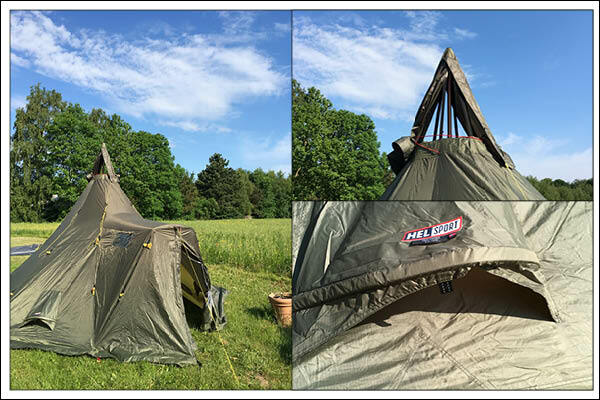 Now while a trip in a tent is not the same as a good comfortable bed, we have invested in gear that make our camp beds come quite close to our beds at home. I really dont like it when everyone is grumpy because of bad sleep, and I love that we now have better equipment for everyone. For the adults we have older versions of this, Exped SynMat XP 7 – Large wide. It doesn’t get much better than that – and complete luxury with the extra length and width. For the kids we have self-inflating term-a-rest sleep pads. They work just fine for the kids, if they want bigger mats at a later date we will have to look into that. You can read our guide about what to look for in a sleep pad here. I might as well tell it like it is, I hate being cold! – and Im one of those cold sleepers making me wanting a winter sleeping bag even in summer. 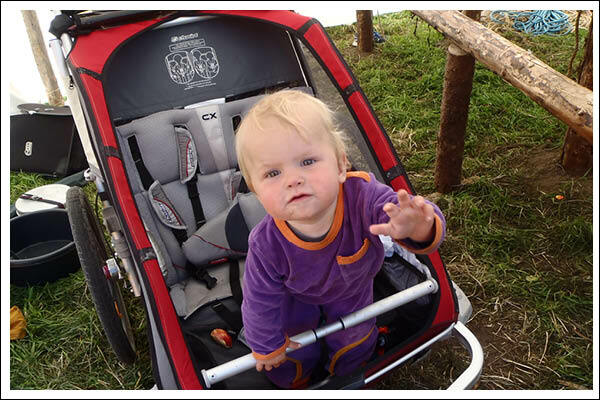 Jens and the kids are warm sleepers so they dont need as warm sleeping bags during the summer. This is something you have to think about when you get a sleeping bag for yourself. Another thing I hate the feeling of being to tight inside my sleeping bag. This can be solved by an elastic sleeping bag or an added bag expander. You can read all of our best tips on what to look for in a sleeping bag here. We always bring something to cook on and things to prepare food. While you can rely on making a fire and cooking that way (if its allowed at the campsite of your choice, always check with local authorities), we like a smaller gas powered stove. We always bring our trangia. That is a quick and easy way to heat something. 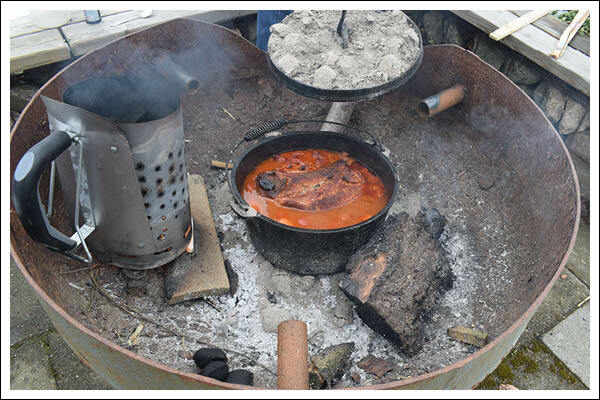 If we are away for a longer time, and we are not hiking there, we like to bring our dutch oven as well. 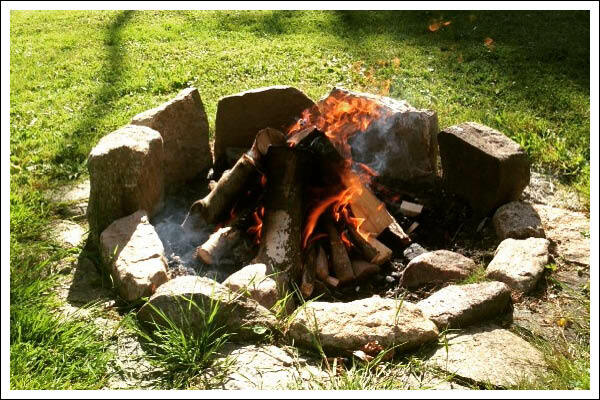 We love a good campfire (Again – always check the local requirements for fire!) and that is just so much easier with a small ax and a good knife. Now we bring an ax and knives to a campsite, with kids, and to us it is just as important that the kids learn to be around knives, just like we have shown them how to build a fire from scratch. You want to be mindful about bringing these tools, and teaching your kids to be around them if you do. We always bring plenty of light. We want our kids to enjoy the vastness and the darkness only found in the great outdoors. But at the same time, in winter in Denmark we have very short days, and not bringing light would make everything unnecessary hard. We do like to have enough light. With the lights comes the decipline to use that light. We always go with simple rules of no light directly into the face of anyone, and point it towards the ground when you walk. Somehow we still end up being able to spot the kids far away when you see the flashlights pointing towards the sky. We still hope that they will remember eventually. When we go camping we bring enough clothes. With two young kids, a baby and a toddler, we need enough clothes for every situation. WHile one of the things I love about our new tent is the ability to dry clothes inside it, it is just not something that I want to HAVE to do. Id rather bring enough clothes. We like to keep the clothes in big bags, inside a backpack. I always try to pack clothes for each day in a zip-lock bag, so that the kids just have to find a bag and change the clothes that is in there. However you want to start your fire, you need something to help you get that first fire going. Our cooking equipment requires a flame of some sort, and its no fun to leave home without it. We only bring table and chairs when we drive all the way to the campsite. There are some lightweight options that you can hike with, but with a family of 6 its just to much. If we are going on a longer hiking trip we just bring a blanket that will fit all of us. We never go on a trip without at least a deck of cards. You can bet on that being bitter experience and having to spend a weekend trapped inside a tent in the rain, without anything to entertain. Luckily this was when we were young scouts and not with kids, but still, I’m betting that would be worse! Anyway, some games or activities are great when you are out on a trip and just have family time. That is 10 things that we always bring – what do you have on your list? What would you always bring? Let us know!